Angus is our huge red teddy bear! He is friendly and outgoing, but all lapdog. J His wavy-fleece coat is thick and buttery soft. Angus is a standard boy who weighs 55 pounds, and is fully tested and ready to stand for approved females. Blaze is a medium red boy with a soft wavy-fleece coat. He is all boy, and loves to chase his guardian children, and occasionally a toad who hops into the yard! He is between 35 and 40 pounds, and is fully tested. He is available to approved females. 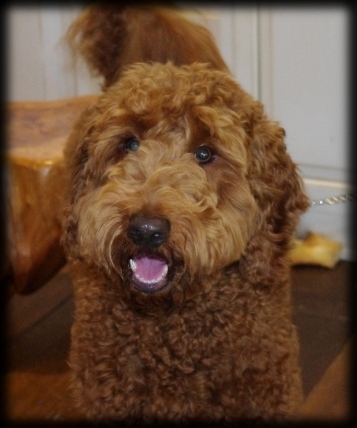 Clancy is a well-built medium red curly-fleece Australian labradoodle. He lives with his guardian mom, and has a wonderful life of running and being an only child. 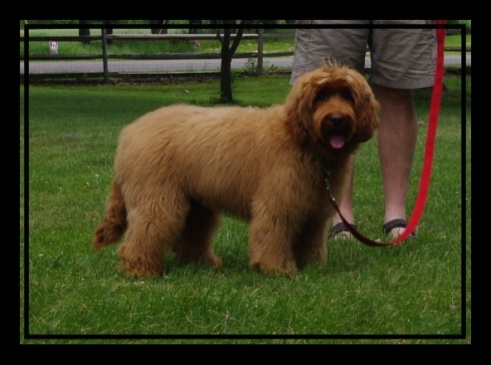 He is around 40 pounds, is built like a brick house, and is fully tested and standing at stud for approved girls. Titan is a large mini who weighs around 25 pounds. He has a curly-fleece black coat and is my grand-children’s live-in buddy! He is wonderful with children, pets, and general commotion. He carries all colors, plus parti, and is fully tested and standing for approved females. Bodie is a gorgeous red fleece boy with a loving and gentle disposition! 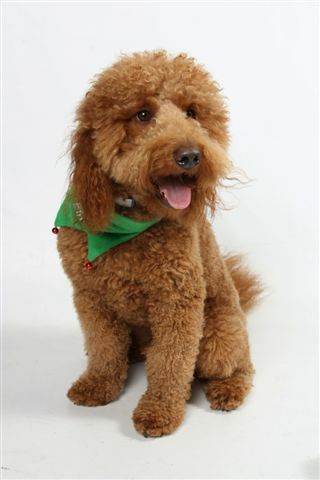 He is a joy to his guardian family and their children, and brings lots of doodle kisses to the party. J Awaiting testing for the handsome boy. He is a large medium boy and weighs in at 48 pounds. Reggie is our handsome new stud puppy from a Canadian breeder. He is going to be a nice stocky medium, expected to reach around 45 pounds. He has a curly-fleece coat. Testing has begun, and we are hoping for a wonderful new breeding boy. 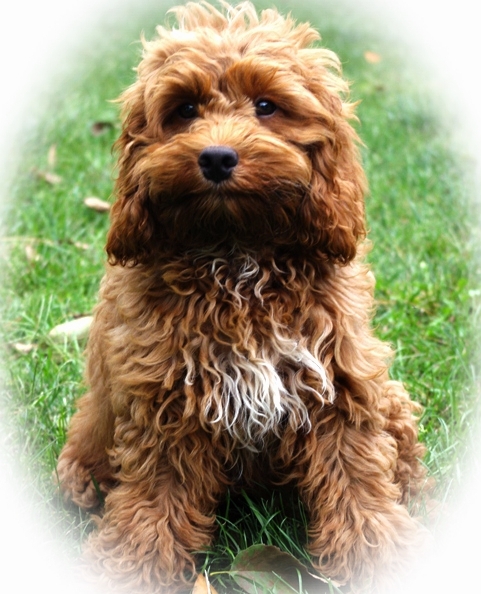 cockapoo who is registered with the ALAA and being used for infusing that wonderful stockiness into our minis! He lives with his home-schooling guardian family, who snuggles with him and treats him like a king. 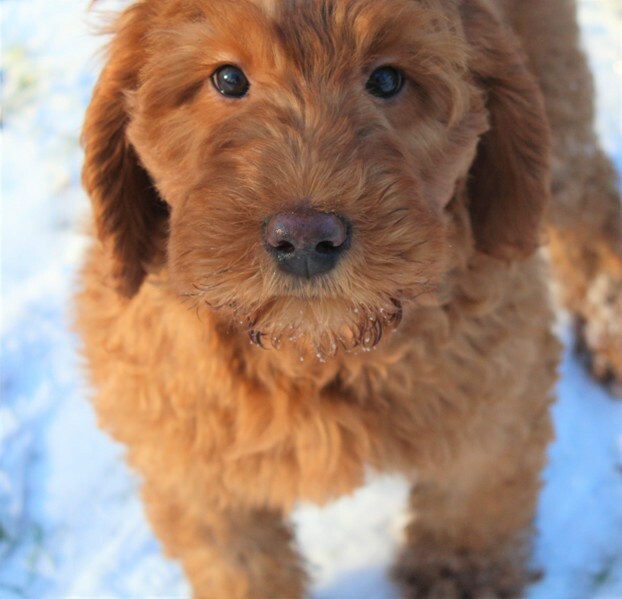 Our infusions with Johnnie have produces some stunning mini puppies, which are being purchased by other Australian Labradoodle breeders to follow the “recipe” of the original Australian breeders. He carries all colors, plus phantom, and is fully tested. He is ready to honeymoon with approved females. 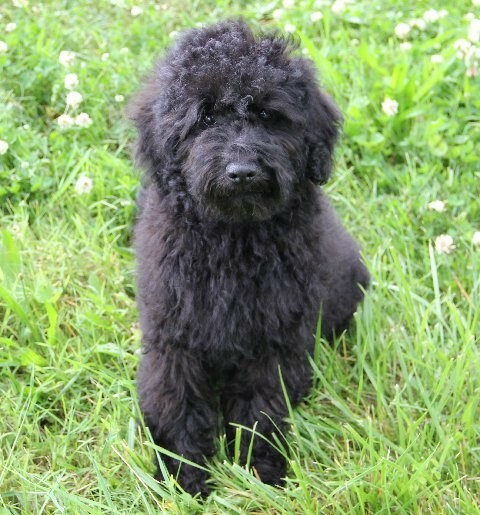 Tucker is our newest little boy, weighing in at 12 pounds at full size. 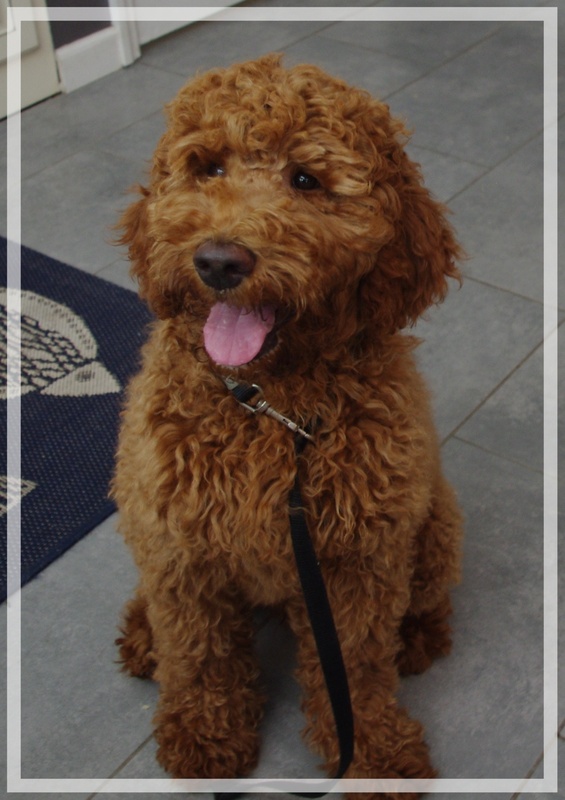 He is a multi-gen Australian Labradoodle, who produces gorgeous red and apricot minis and micro minis. He is adored by his guardian family, and LOVES to be around people. 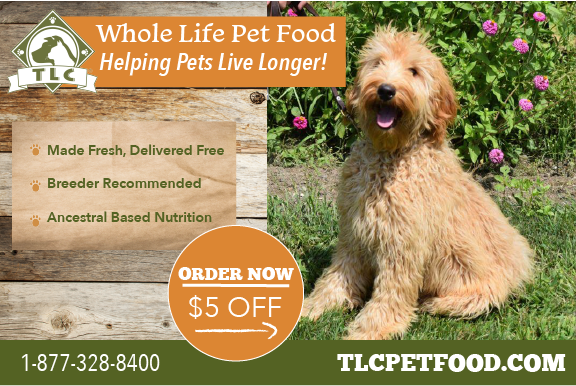 Tucker has passed his OFA hips and elbows testing, and is clear of EIC, Degenerative Myelopathy, PRA-prdc, and von Willebrand's.